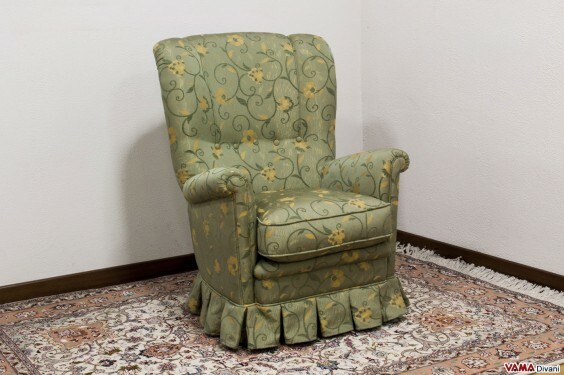 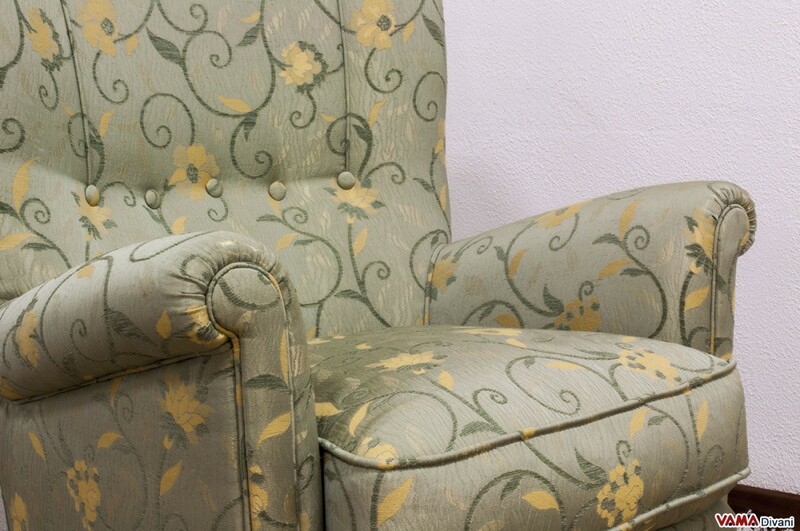 Eden is a classic armchair that revisits in a suggestive way the typical style of the Bergere armchair: compared to this timeless classic armchair, however, Eden presents compact arms and, above all, a striking feature to its base, which is a very original pleated skirt covering its two feet. A really comfortable fabric armchair, thanks to its high, ergonomic and large back and to its seat cushion characterised by soft padding, Eden is an eye-catching model and can be placed both in a living room and in a bedroom or in another type of room. 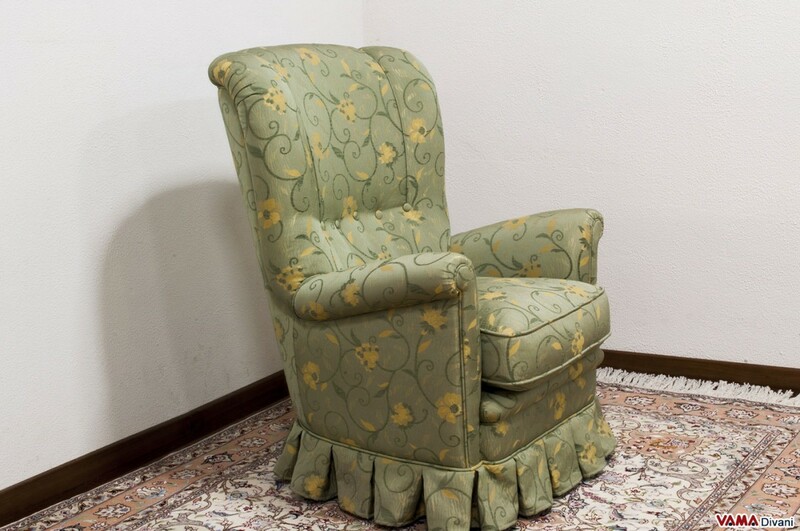 The great manual skill of our Italian craftsmen can be noticed, in this armchair and in its many details, and because of the presence of several crafted decorations, this chair does not come with removable cover.